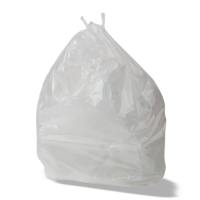 A range of plastic bags and refuse sacks suitable for a wide variety of tasks. 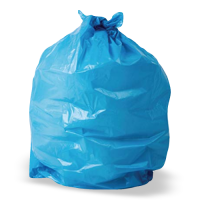 Available in differing grades of thickness (referred to as gsm - the higher the number the denser the bag) and rated to CHSA duty cycles. 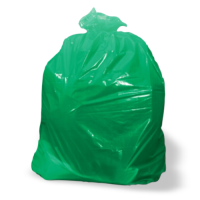 Our plastic sacks have been selected for the quality of construction. 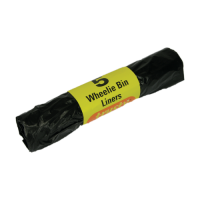 A roll of 5 Light Duty Wheelie Bin black refuse sacks. 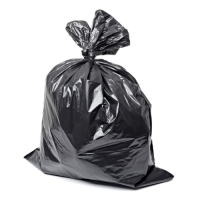 Product Featur..
A box of white light duty swing bin liners. 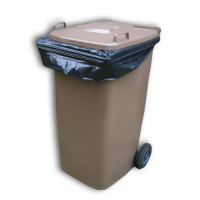 Product Features Flat ..
A box of 200, 90 Litre, 18/29×39″ flat packed Medium Duty Black Refuse..
A box of black 270 Litres, 30/45 x 54″ wheelie bin sacks. Flat packed ..
A box of light duty 90 Litres, 18/29×39″ clear refuse sacks. 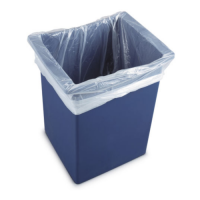 Product ..
A box of 200, 90 Litre 18/29×39″ flat packed Black Heavy Duty Black Re..
A box of 200, 90 Litres, 18/29×39″ flat packed Clear Medium Duty Refus..
A box of flat packed blue medium duty sacks with a 90 Litre capacity a..
A box of flat packed green medium duty sacks with a 90 Litre capacity ..
A box of flat packed yellow medium duty sacks with a 90 Litre capacity..
A box of flat packed white medium duty sacks with a 90 Litre capacity ..